Minnesota native Geoffrey Schellenberg joins the Calgary Opera Emerging Artist Program for the 2017-18 season. Praised for his “clarion tone” (Musical Toronto) and “impressive vocal colour” (Opera Canada), recent engagements include Belcore in L’elisir d’amore for Music Academy of the West’s 70th anniversary season under the baton of Speranza Scappucci and directed by James Darrah, as well as Marcello in La boheme with White Rock Concerts in Vancouver. Geoffrey appears on the mainstage of Calgary Opera this season in the the roles of Sergeant in Il barbiere di Siviglia, Captain in Eugene Onegin, and Sciarrone in Tosca. He reprises the role of Figaro in Il barbiere di Siviglia with Bard on the Beach in September, and makes his debut at the Mamdani Opera Center for a special holiday concert in December. Geoffrey has become a frequent performer around Vancouver, B.C. 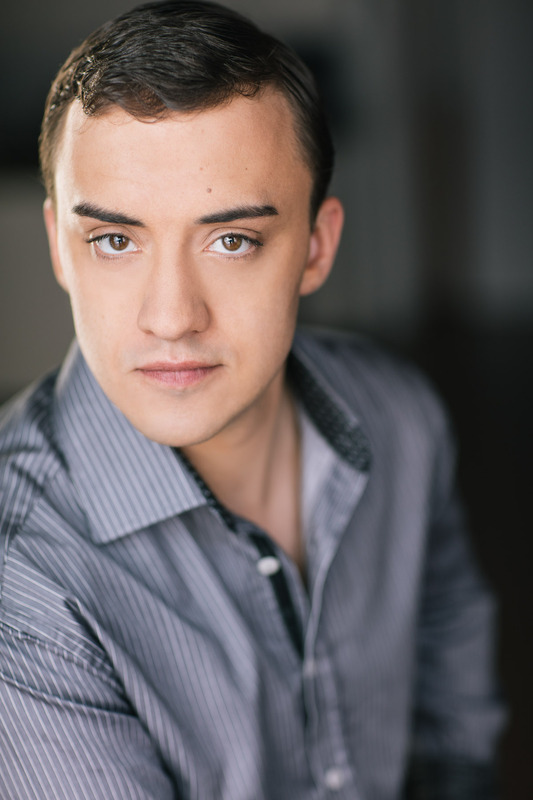 He regularly performs in Burnaby Lyric Opera productions and has sung Peter in their concert staging of Hansel and Gretel and Sharpless in their mainstage production of Madama Butterfly. He has also been seen with the Vancouver Symphony Orchestra playing the Captain in a concert performance of Candide and Danilo in selections from The Merry Widow in their The Look of Love concert. Additionally, he has sung as a soloist in several oratorio performances, including the Fauré Requiem with Vancouver Bach Choir and Duruflé Requiem with St. Philips Choir. Most recently, he performed the baritone roles in a number of original opera scenes for Vancouver Opera Festival’s New Works Project. Geoffrey was a prize winner in the 2016 Canadian Opera Company Centre Stage Competition and was a winner of the 2015 Western Canada District in the Metropolitan Opera National Council Auditions. He completed his Masters in Opera Performance in 2017 at the University of British Columbia and performed many roles during his studies: Eugene Onegin in Eugene Onegin, Lescaut in Manon, Demetrius in A Midsummer Night’s Dream, and Count Almaviva in The Marriage of Figaro. Geoffrey has also participated in multiple productions overseas, playing Don Alfonso in Così fan tutte with Centre for Opera Studies in Italy in Sulmona, Italy, Count Almaviva in The Marriage of Figaro with Accademia Europea dell’Opera in Lucca, Italy, and Papageno in Die Zauberflöte with the European Music Academy in Teplice, Czech Republic.